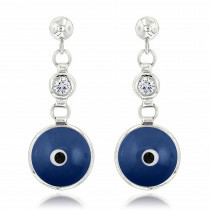 Evil eye jewelry is said to protect the wearer from the "evil eye" and bring good luck. 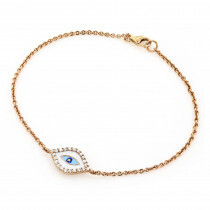 Choose a perfect evil eye jewelry piece from our extensive collection of good luck charms. 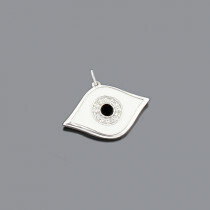 Whether you are looking for a good luck charm in a form of a red evil eye bracelet, a black evil eye charm, or a white evil eye pendant, our diamond evil eye jewelry is crafted from solid 14 Karat white gold, yellow gold, or rose gold and features high quality authentic diamonds, all at discount wholesale prices. 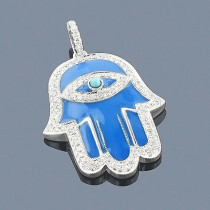 The Diamond Hamsa Hand pendant is truly radiant. It is absolutely more beautiful in person and just the right size. 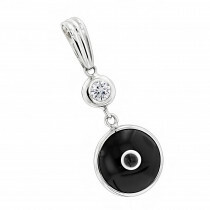 The diamonds sparkle so bright and the design is lovely and elegant. I purchased one for myself and now I am planning to buy one for my sister. I believe it would make a meaningful and wonderful gift. Just received this bracelet and it is beautiful!! It is actually my second bracelet from you. I could not be happier!!! 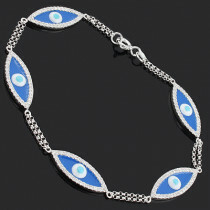 Wonderful bracelet that goes with everything!!! I highly recommend getting one like this! !